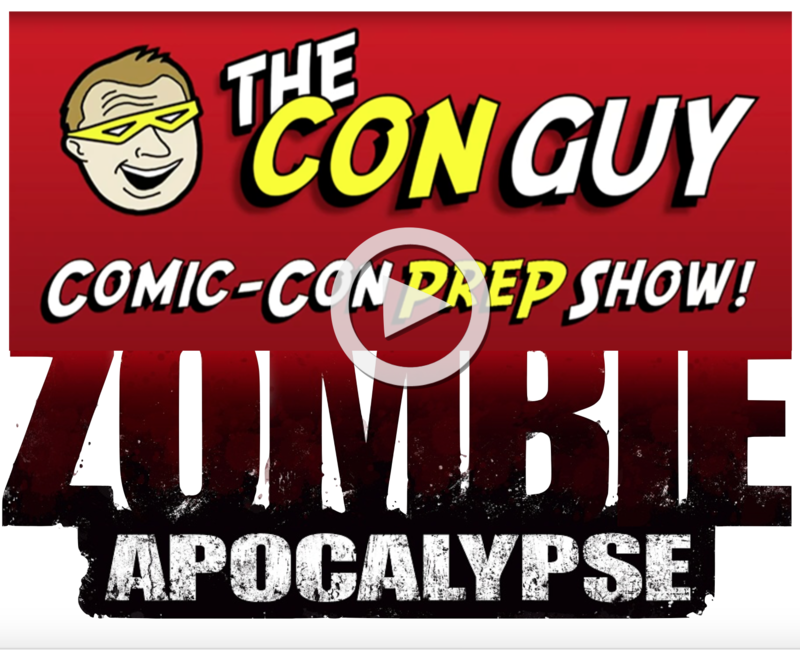 THIS WEEK’S SHOW: THE WALKING DEAD, FEAR THE WALKING DEAD, and COMIC-CON #HOTELPOCALYPSE! This week’s show is an APOCALYPSE — zombies and otherwise, because it’s all about The Walking Dead finale, and the Fear the Walking Dead premiere. PLUS, after two weeks of waiting for an answer, we are now feeling the full force of San Diego Comic-Con’s Hotel Sale, or as it is better known, Hotelpocalypse. Hashtag that and see the horror. (or, in some cases, the sheer joy). PLUS, on the brighter side, we visited Lucasfilm!!! And discussed the sadness of Stan Lee’s final days. All this week! Check us out. Hosts: Jim Frye @conguyjim, Derek Samms @conguyderek, Luke Cheeseman @CheeseOnCouch. San Diego Comic-Con: 13 weeks.